The torch relay for the Paralympics has started at Cape Dezhnev, the easternmost point of Russia. Over 1,500 torchbearers in 45 cities will take part in the relay, which will end at Sochi’s Fisht stadium on March 7, the day the Games begin. On Wednesday, the Paralympic flame was lit simultaneously in five cities in Russia’s Far Eastern region after the first ceremony took place at Cape Dezhnev, the tip of land that is first to see the sunrise in the country. 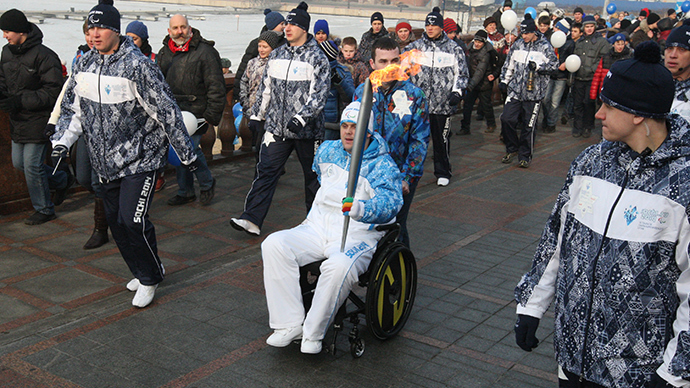 Organizers of the Games promised a unique show in each city with the flame symbolizing the Paralympic Games being lit in different ways – from rays of the sun, from a hammer and anvil, from a traditional Russian stove and even from a volcano. In Vladivostok, following a spectacular theatrical performance of lighting the flame, 100 torchbearers carried the torch across the city. In Anadyr, the capital of the Chukotka Autonomous Region, the flame delivered from Cape Dezhnev was combined with that lit by a shaman with a splinter, moss and fat – the way the region’s indigenous people, the Chukchi, have been doing it for centuries. A traditional ceremony was also held in the republic of Yakutia, where a shaman conducted a blessing and made a flame using a flint. The port of Magadan resorted to a more modern, but no less surprising, way of lighting the flame. There, a spark for the Paralympic torch was created during the smelting of a 12.8 kilogram gold bar, Interfax reported. Organizers said that the method was chosen because the extraction of precious metals is the region’s biggest industry. The region is Russia’s leader in silver mining and fifth in the mining of gold. The Paralympic torch relay is traditionally shorter than that held ahead of the Olympic Games, but the event invariably attracts many thousands of spectators. Unlike the Olympic flame, which is lit in Greece and then delivered to a country hosting the Games, the Paralympic flame is ignited in a place chosen by organizers of the competitions. 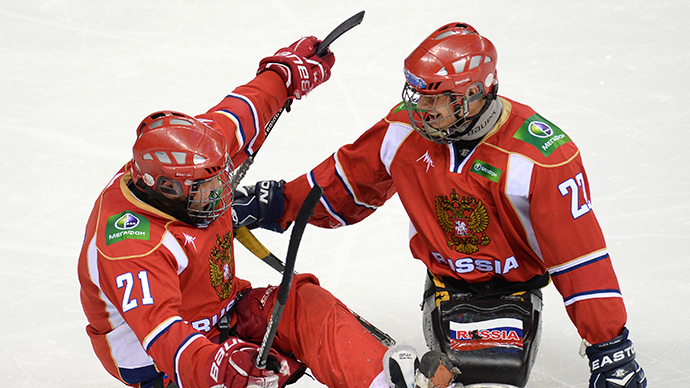 This will be the first time that Russia hosts the Paralympic Games. 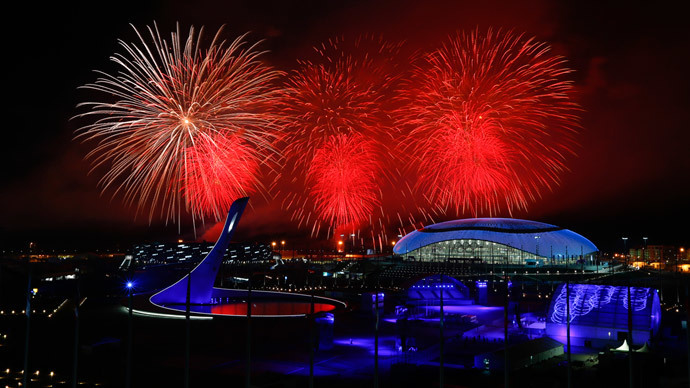 The event kicks off on March 7 and continues until March 16 in Sochi.